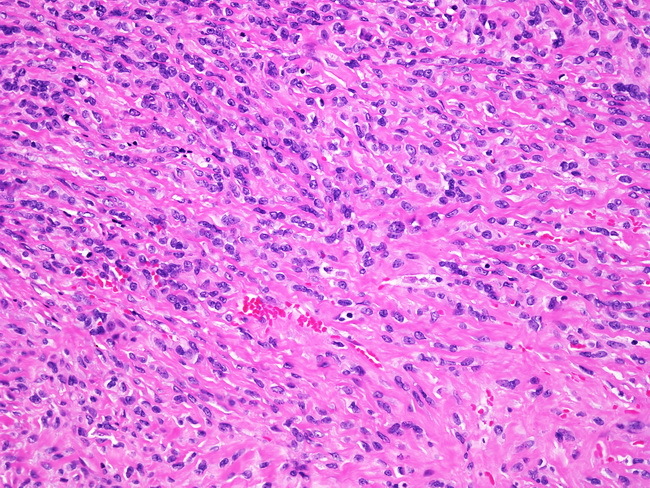 A newly-described distinctive variant of fibrosarcoma consisting of cords and strands of epithelioid cells in a densely collagenized matrix. The cells have round to oval nuclei and eosinophilic cytoplasm. The tumor may appear well-circumscribed but invariably infiltrates into surrounding tissues. The usual location is deep soft tissues of extremities, trunk, and head and neck region. Mitotic activity is increased.